— You can split it in two by just using a natural tap and spread gesture, and you’ll end up with roughly half of the keyboard on the left, and roughly half on the right. To put it back together you can use fingers again to tap and push it back together, or you can tap and hold on the Hide Keyboard key and choose Dock and Merge. That will merge the keyboard back together and place it back down at the bottom of the page, in its ‘docked’ position. 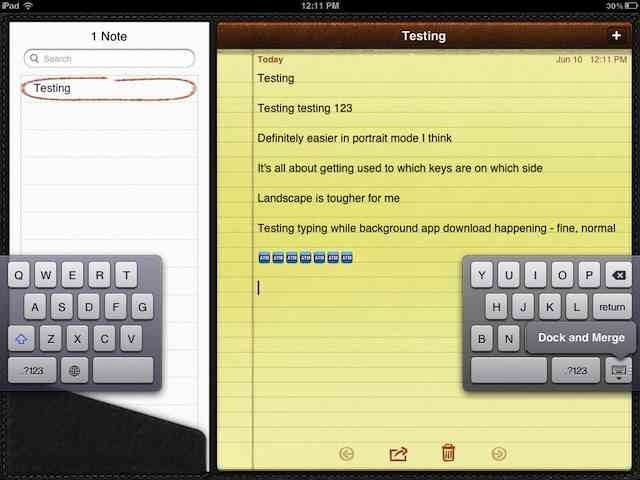 — The iPad keyboard can also be moved up and down the screen. To do this you just tap and hold on the Hide Keyboard key and drag it to where you’d like it placed. 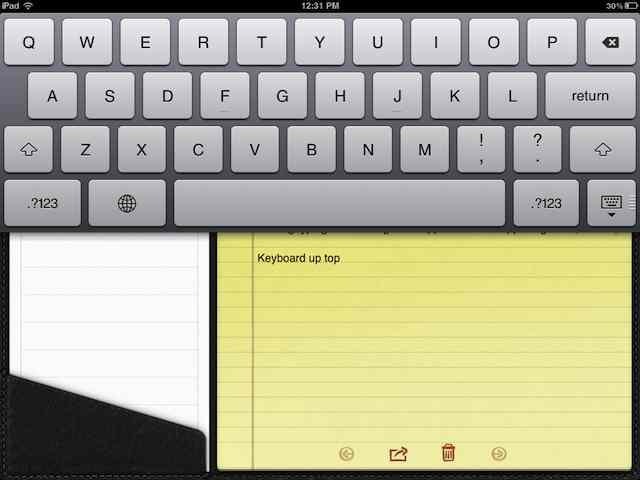 You can move the keyboard around like this when it is split and when it is merged back together. I’m still getting used to these new features for the iPad keyboard in iOS 5, but for now I’d say it’s quite nice to have them as options. I somehow completely missed this in amongst all the iPad coverage last week. I’d been checking out the details of Apple’s line of iPad accessories at their site, but had not spotted any prices for them. These all seem about what we’d expect from Apple, nothing outrageous or spectacular pricing wise I’d say. I’m looking forward to seeing all the other choices we’ll have for cases, docks, keyboards and more from third party manufacturers. 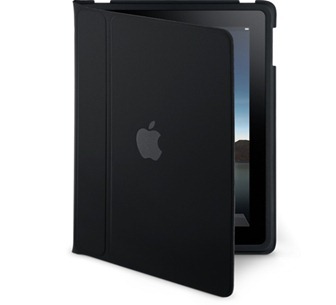 I’m sure we’re going to see a huge array of iPad accessories from lots of third party manufacturers leading up to and following the release of the iPad. Apple also has a few of their own that should be on offer as soon as the iPad is available. 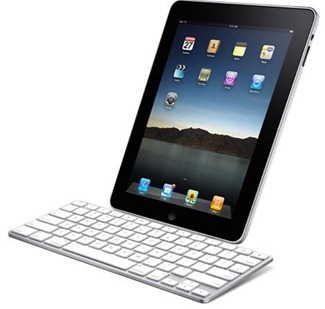 At least a couple of them were shown off during the iPad launch event this past Wednesday – the iPad Keyboard Dock and the iPad Case.